One of the European Theological Seminary requirements to bring practicality to the academia, is practicums or internships. 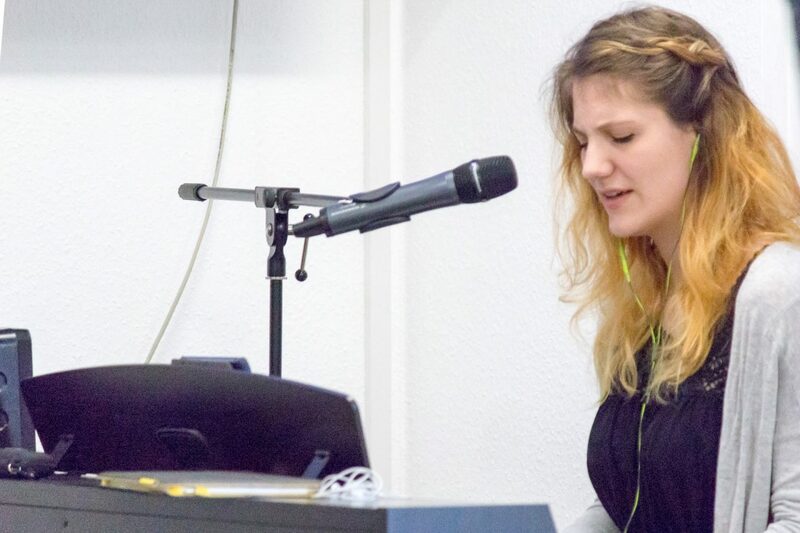 These are arranged with several pastors, and organizations around Germany, in order for the students to serve in areas of leadership, and ministry, thus confirming their call, while enhancing what they learn in the classroom. Abante International often partners with ETS in such practicums because the program sees value in such experience for these colleagues. On the weekend of April 9 and 10, the Abante colleagues, together with some of the European Theological Seminary students, participated in a practicum to Hockenheim, Germany. The team served at the City Church, which is led by Pastor Giosuè Pintagro. Thanks to Eric Schneider, former administrator Bishop over the Church of God of Germany, the connection was made with Pastor Giosuè, to bring a team for a weekend of service at the City Church in Hockenheim. The team arrived on Saturday evening and had a wonderful meal at the home of Pastor Giosuè, where they met his lovely family and fellowshipped, while sharing stories, and even play time with their precious dog, Mila. The dinner meeting was all about encouragement and connecting. There was an interesting variety of cultures represented; German, Italian, Spanish and Russian were spoken at the table, and everyone present loved the diversity and the comfortable feeling of family. The service on Sunday was wonderful. Some of the colleagues served in worship leading, others through testimonies, while founding director Brian Schlottmann presented a message on “God Calls the Unqualified.” His premise was that regardless of who you are or what talents you may or may not possess, there is a work to be done, and God can use you. Brian made the statement; “Christ made breakfast at the beach for his disciples, not because they were hungry, but because he wanted to model to them what they should do for others…” This message was a call to reach out to the community, and it was well received by the congregation.